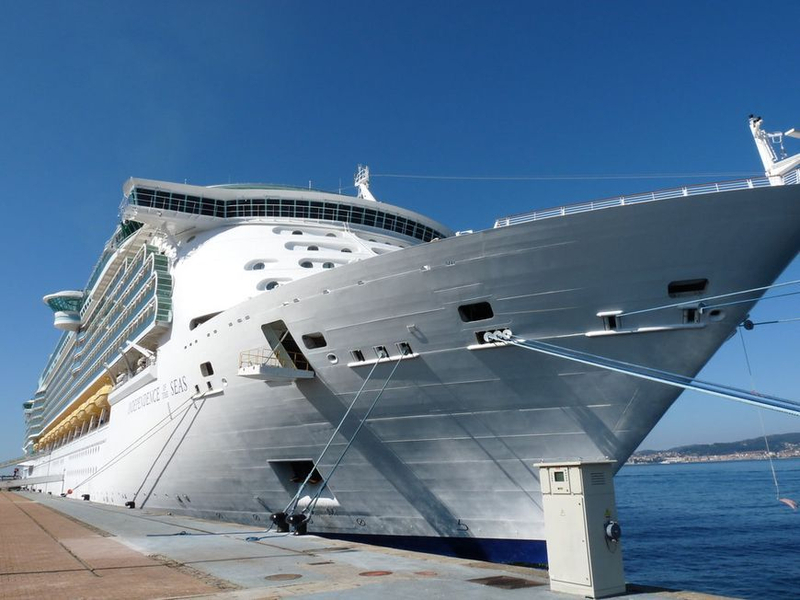 Royal Caribbean's Independence of the Seas, a massive 1112' in length and weighing in at 154,407 grt. 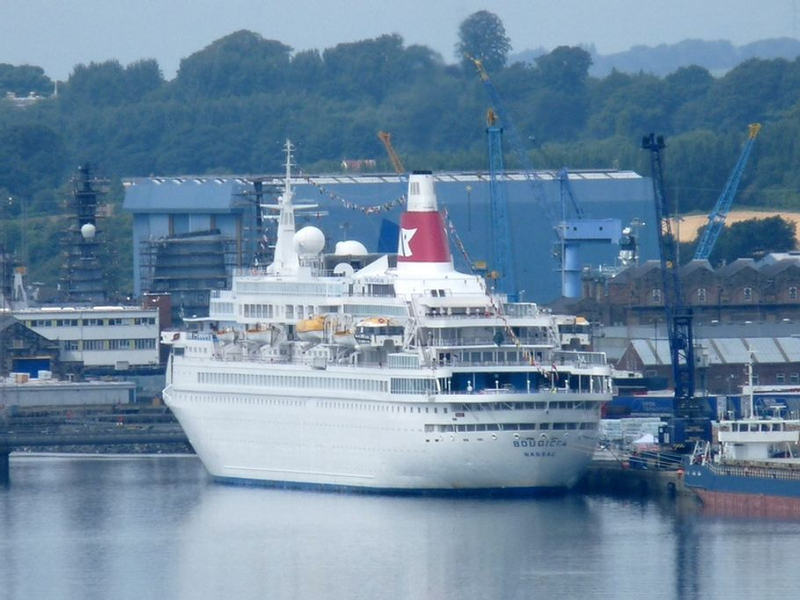 Her maiden voyage was in 2008 and carries 3600 passengers. Pictured 2014 in Vigo, Spain. 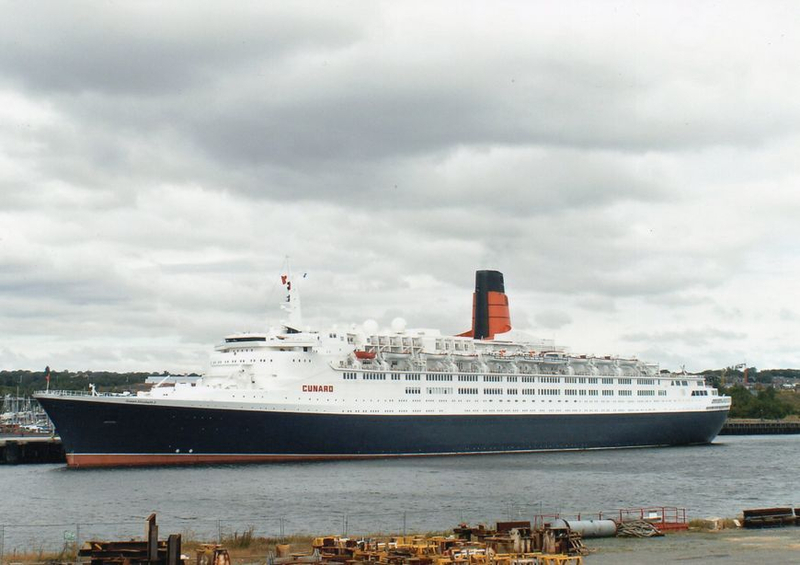 Cunard's classic Queen Elizabeth 2 seen here on the River Tyne on her farewell tour of the British Isles in September 2007 before heading to the Middle East for use as a floating hotel. I think this is one of the most stylish ships ever built. 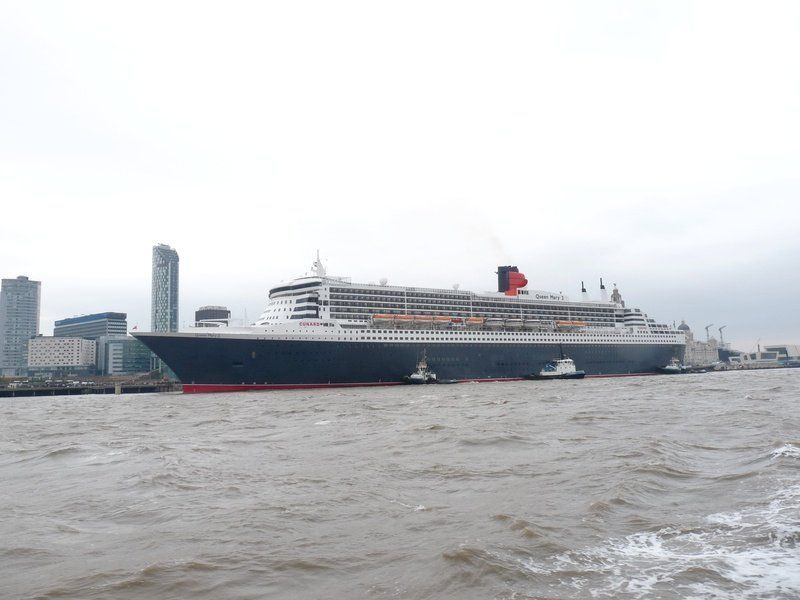 Not a cruise ship really but a vessel designed to travel the Atlantic Ocean between the UK and America in all weather conditions, a true ocean liner. 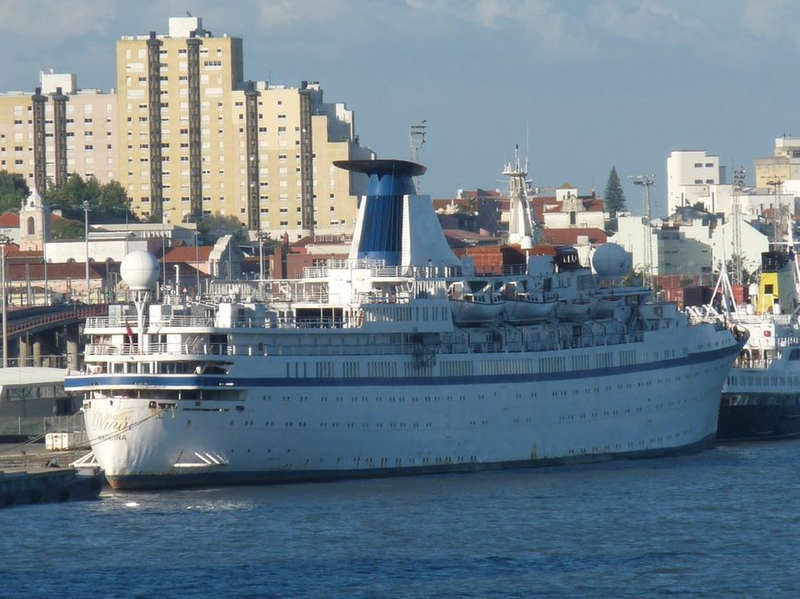 A bit further afield now to Kingstown Barbados and Ocean Villages "Ocean Village Two" Originally built in 1990 as the "Crown Princess" for Princess Cruise Lines she was extensively refitted in Southhampton in 2007. Weighing in at 70,000 grt she is an "easy going" type of ship with no set routines or meal times. 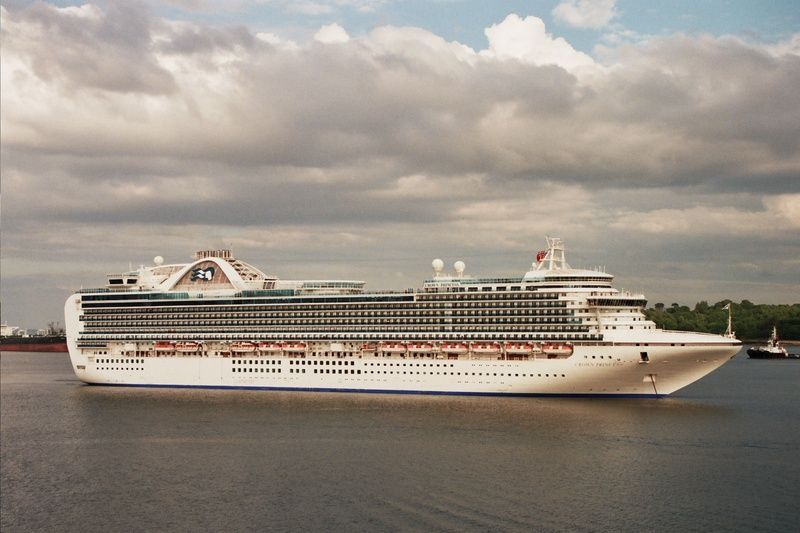 Another giant is the new Princess Cruise Lines " Crown Princess" pictured in 2009. 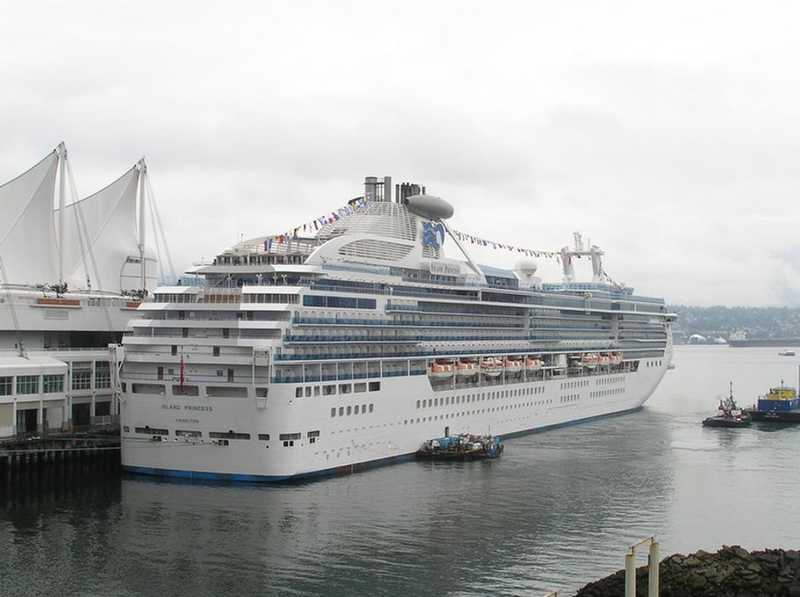 This 19 deck monster carries 3080 passengers, 1200 crew and is 113,000 grt in weight .Her maiden voyage was in 2006. 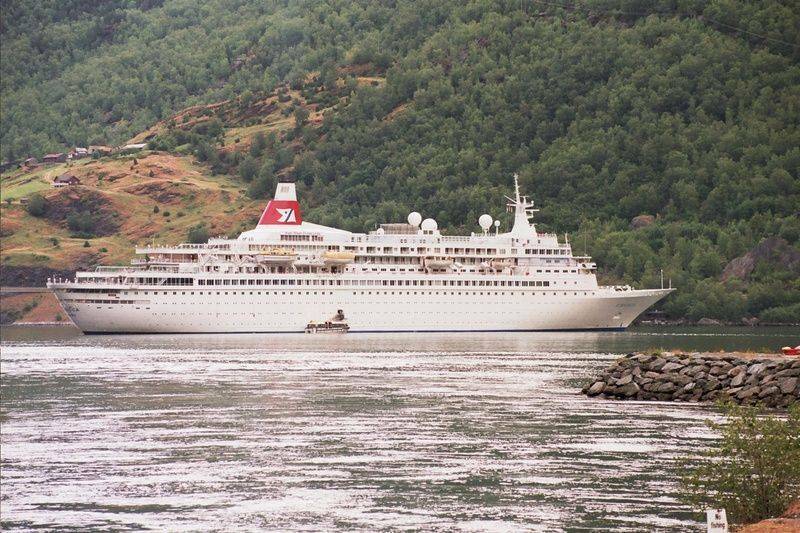 Flam in Norway is the setting for Fred Olsens " Boudicca" a mere 28000 tons and 205m in length. 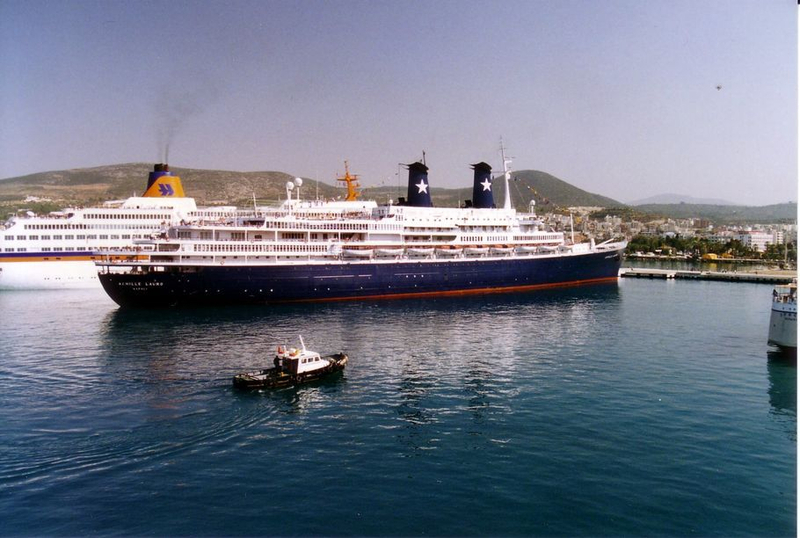 Taken in Kusadasi, Turkey in 1993 is Star Lauro's "Monteray"
A rare meeting of the two is Monteray's sister ship "Achille Lauro" she caught fire and sank off Somalia in December 1994. 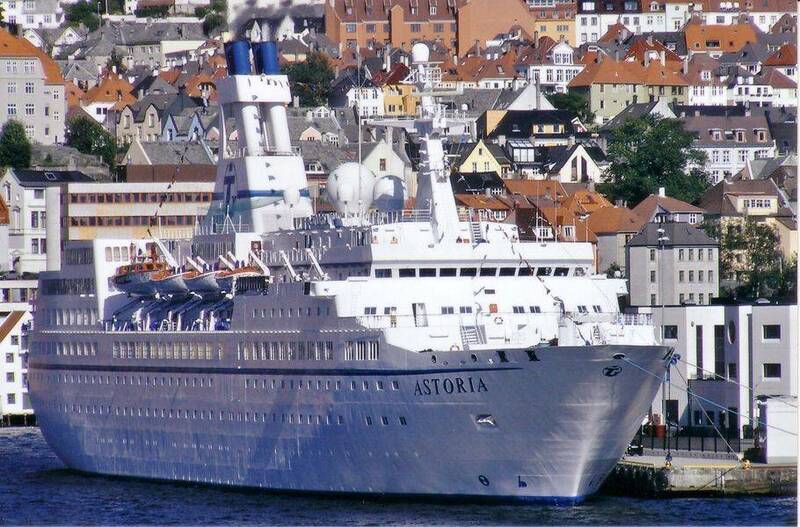 "Astoria" pictured in Bergen in 2005. "Marco Polo" same place, same year. 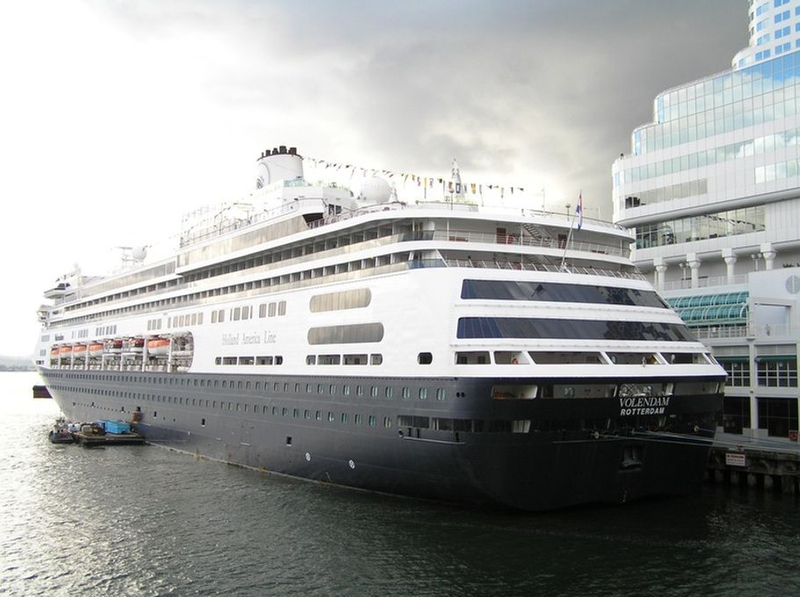 Canada Place Cruise terminal in Vancouver is the setting for this photo of Holland America Line's "Statendam"
Also in Vancouver is HAL's "Volendam"
A popular vessel in these waters is Princess Cruises "Island Princess"
Regent Seven Sea Cruises describe their "Seven Seas Navigator" as 6 star cruising. Weighing in at 28550grt and is 565 feet in length. 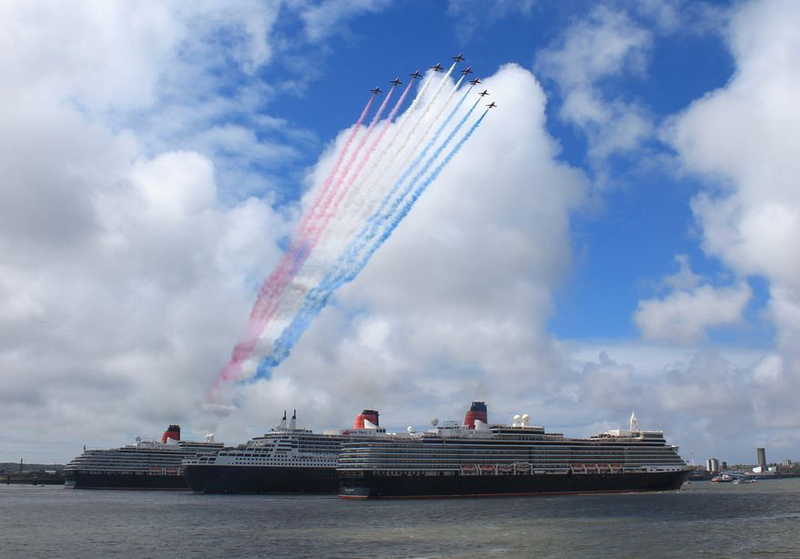 A gathering of the three Cunard liners, Queen's Victoria, Mary and Elizabeth took place on the river Mersey to commemorate the 175th year of Cunard in May 2015. A full day away on a tour and arriving back in the dark wasn't much good for ship spotting but i managed to get this snap of the new "Royal Princess" departing Livorno. She had only been officially named a few weeks previously by Princess Katherine. Looking rather smart alongside in Genoa is FTI Berlin. 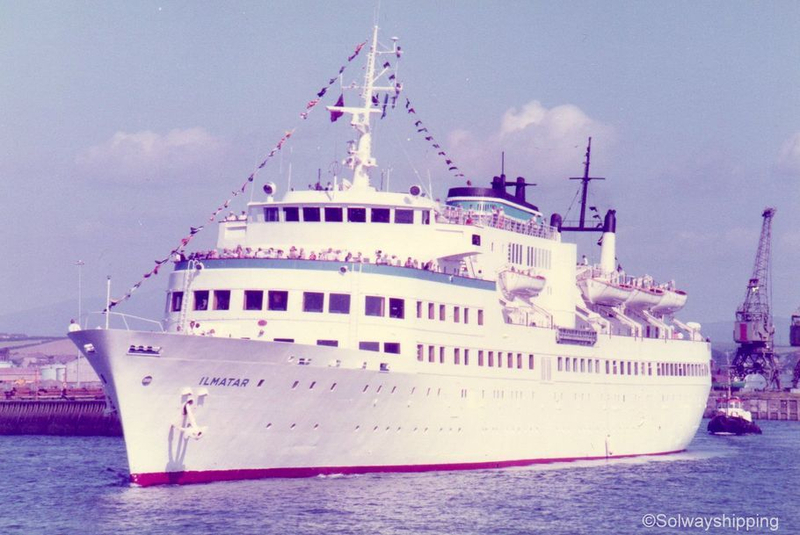 The 1980 built, 9570 grt ship has had a variety of names over the years (and appears elsewhere in Bergen as Orange Melody) Other previous names are Berlin, and Princess Mahsuri. 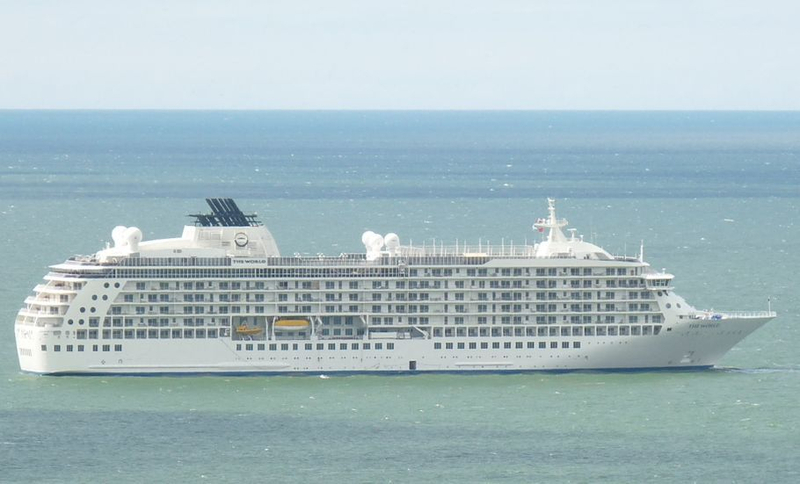 Off to Gibraltar now and another MSC ship in the shape of MSC Magnifica, which looks pretty well named correctly! Pictured October 2013. I was pleased to see the 1955 built "Princess Danae" moored just ahead of us. 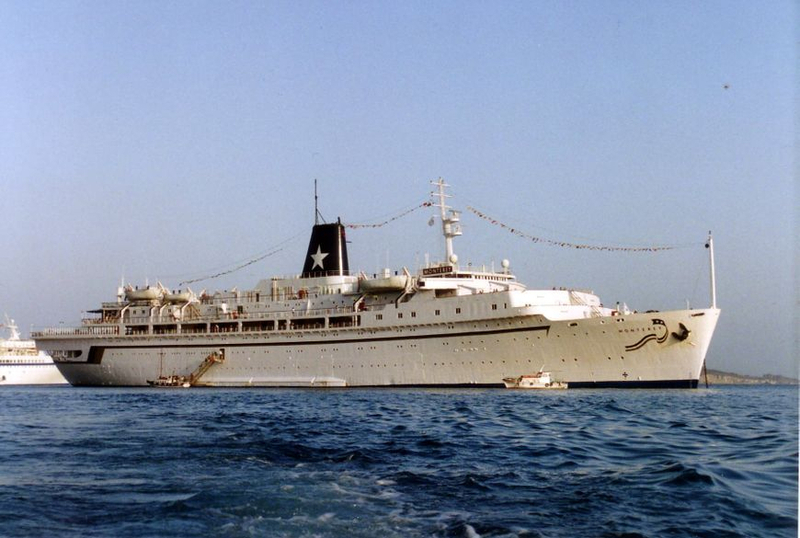 She started life as "Port Melbourne", a cargo ship and at 58 years of age she is unlikely to have much time left due to the ever increasing safety regulations covering cruise ships. 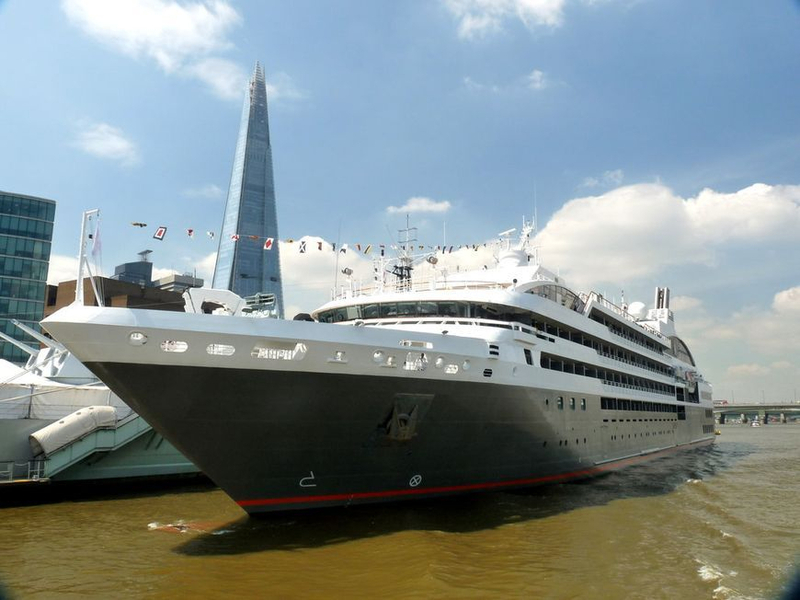 Pictured on the Thames in May 2014 is the mega yacht style of cruise ship Le Boreal. Built in 2010 and 10.700grt. 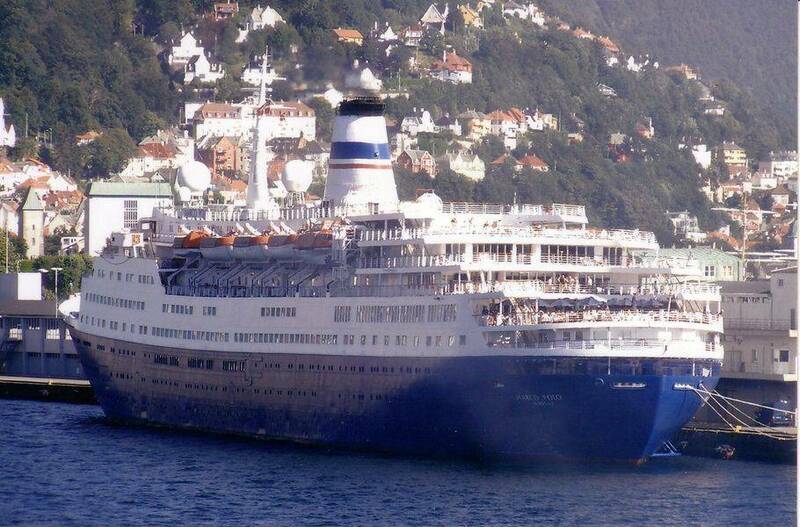 she has a crew of 136 but only carries 264 passengers normally but this reduces to 199 on cruises to Antarctica. 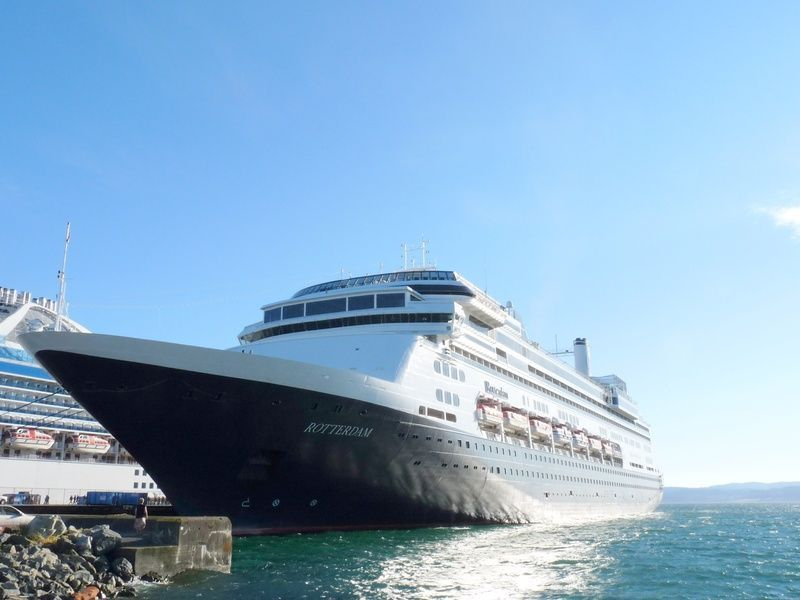 She is owned by Ponant Cruises and is chartered out to premium travel agents dealing with "top end" customers. 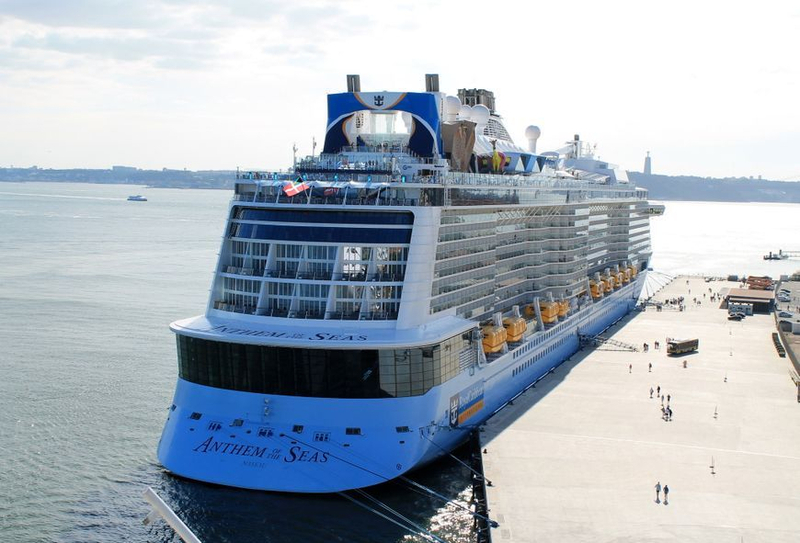 Pictured in Lisbon in October 2015 is Royal Caribbeans new ship Anthem of the Seas, belonging to the Quantum Class and weighing in at an impressive 158,000 grt and is 1181' (347m) in length. 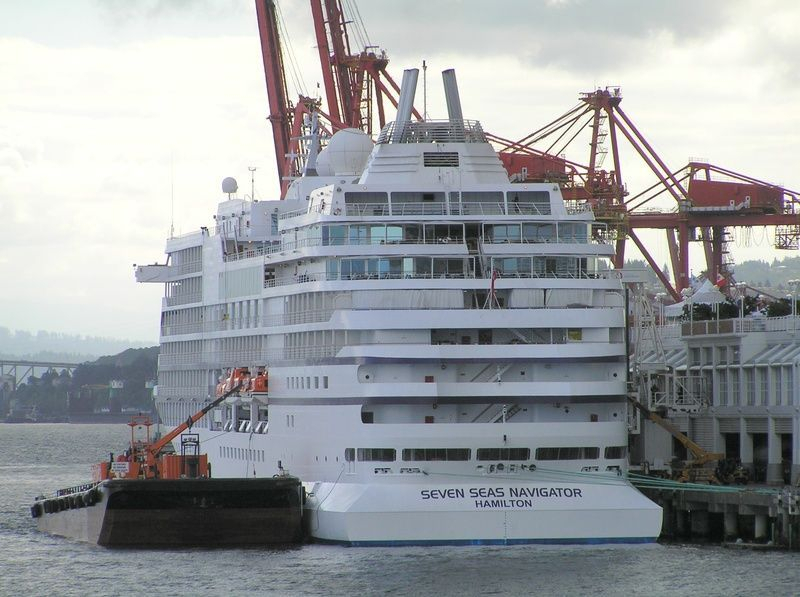 She can carry 4100 passengers. Can you spot GIGI the giraffe? 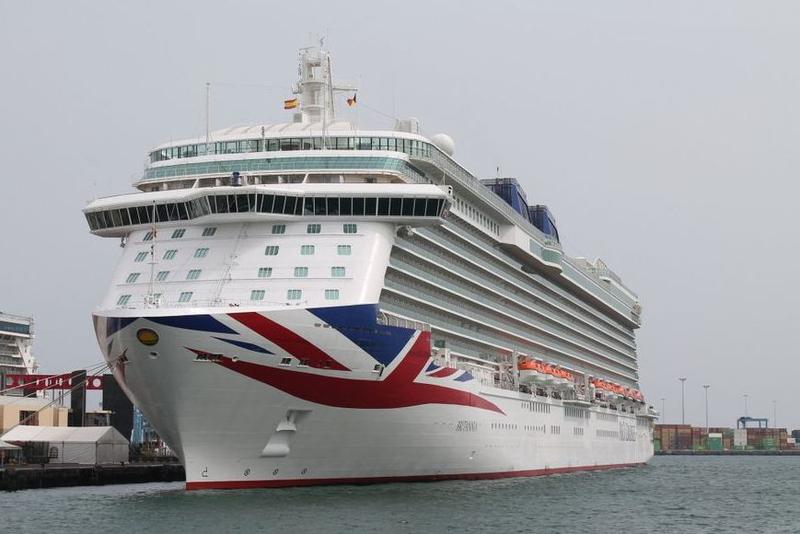 Below is P&O's Britannia another new vessel to the cruise industry. 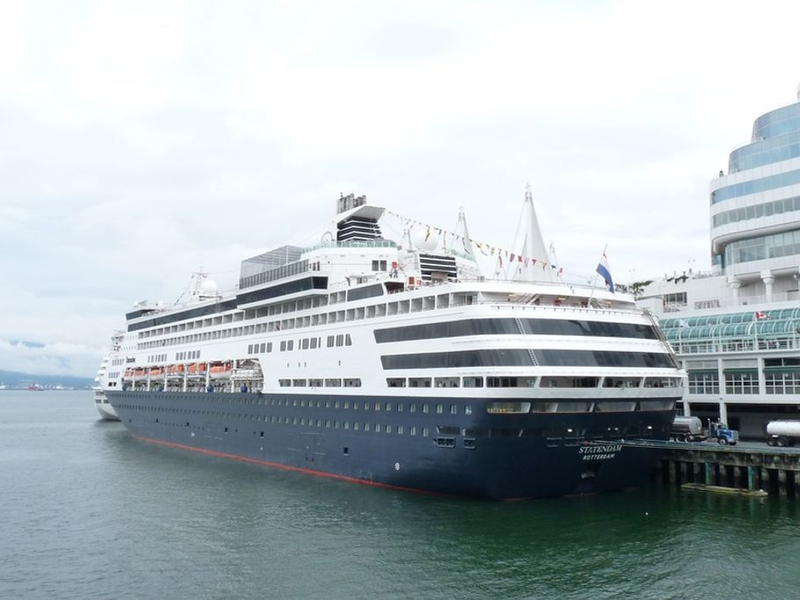 She is 143000 grt, 329m in length and can carry 4300 passengers, figures I find interesting if compared to the Anthem of the Seas,(above) she is 15000 gross tonnage lighter and a little shorter in length but is capable of carrying 200 more passengers! Picture taken at Gran Canaria in October 2015.